At the moment, football clubs are spending millions of dollars each year, building up their Youth Academies, hiring world-class scouts, and paying out thousands of dollars in wages to the players, all in the effort to nurture a few good lads who can go on to help them win titles. It is uncommon to find that a whole first-team squad can be built entirely from a club’s youth system, but, every now and then, a few stars escape and look set to take over the football world. Gianluigi Donnarumma is highly regarded as one of the best teenage goalkeeping talents out there at the moment. He made his senior debut for Milan when he was only 16 years old, even becoming the youngest ever goalkeeper to start a match in the history of Italian football. By the time he turned 17, Donnarumma has already established himself as a first-team player in the Milan squad, winning favor over former Real Madrid shot-stopper, Diego Lopez. During his first season in the Milan squad, he made 31 appearances in total, and announced himself to the footballing world, turning the heads of several high-profile clubs. On the 1st of September, 2016, Donnarumma became the youngest goalkeeper to ever play for the Italian National team at 17 years and 189 days old. He is certain to take over the reins from Italy’s current shot-stopper, Gianluigi Buffon. Buffon himself already praised Donnarumma after the youngster’s excellent start to his football career. He says that Donnarumma has an ‘extraordinary career’ ahead of him. This season, Donnarumma has maintained his first-team spot, already making 5 appearances for far. Ousmane Dembele is a French-born professional footballer, currently playing for Borussia Dortmund. He began his youth career when he was only 7 years old, starting out with Madeleine Evreux, before moving to Evreux and finally to Rennes, where he eventually made his professional debut in 2015. Borussia Dortmund caught interest for the 19-year-old, and signed Dembele during the 2016/17 season, and he has since begun fighting his way into the first-team squad. During the 2015/16 season, prior to his Dortmund move, Ousmane played 26 matches, scored 12 goals, and provided 5 assists – great stuff for a 19-year-old. So far this season, Dembele has made 8 appearances for Dortmund, scoring 1 goal. The fans have also begun opening their heart towards the teenager. Thomas Tuchel, Borussia Dortmund’s manager, praised Dembele for his immense dribbling skills as well as the youngster’s great passing ability, and not to mention his pace. Ousmane looks to be adapting well with his teammates, and will be hoping to continue his progress in Germany this year. Marcus Rashford may only be 18 years old, but he seems to have already nailed himself in Jose Mourinho’s starting squad. The teenager is able to play in almost any attacking position, be it on the wings, as a No. 10, or even as the striker. Jose Mourinho has been using Rashford on his left-wing due to his unbelievable pace, meaning that Rashford is already ahead of Memphis Depay and Anthony Martial in the pecking order. 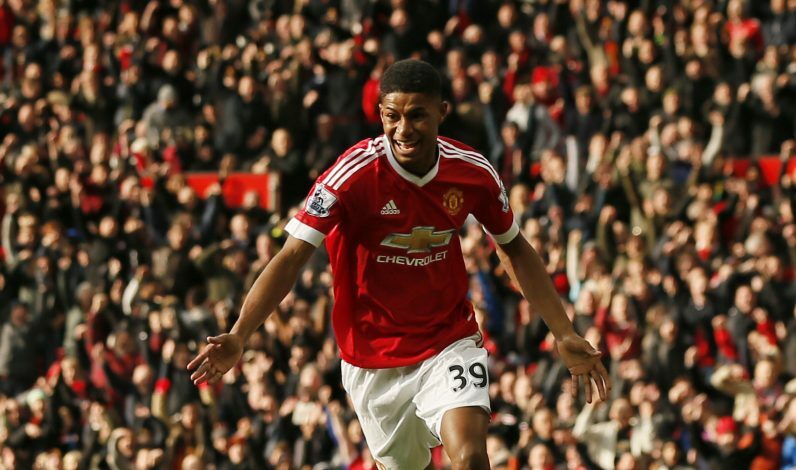 Rashford began his youth career with Manchester United, joining the academy in 2005. He made his senior debut for the club during a UEFA Europa League tie in 2016, scoring a brace during the match and embedding his name in the minds of Manchester United fans around the World. A few days later, the 18-year-old made his Premier League debut for the club, this time against much tougher opponents, Arsenal. He continued his sublime form, scoring another brace and also providing an assist against the Gunners. Marcus Rashford has so far scored 12 goals during 25 appearances for Manchester United, and looks to have a great future as a Red Devils attacker. Renato Sanches, born in Portugal, has risen to fame during the past year, and is highly anticipated to take over the footballing world once the likes of Cristiano Ronaldo and Lionel Messi retire. 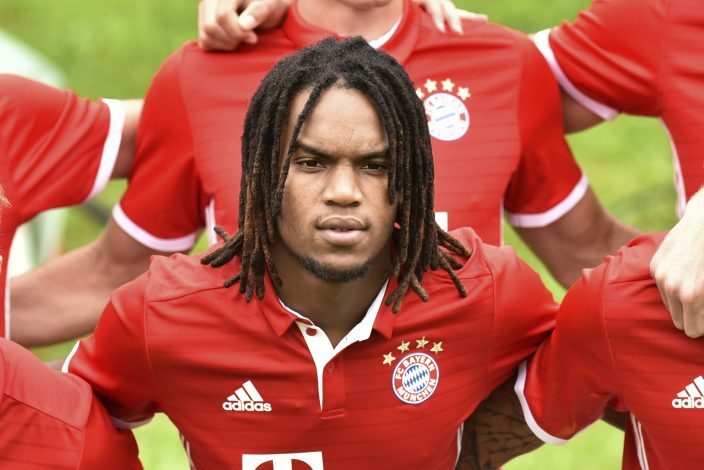 In the space of 2 years, Sanches has already gone from playing for the Benfica B team to playing in Bayern Munich’s first team, as well as the Portuguese National squad. Renato began his career with Benfica. He joined the Portuguese side’s youth academy in 2006, when he was only 9 years old. He made his professional debut while playing for Benfica’s B squad in 2014. He went on the make 34 appearances for the B squad, before being moved up to the first-team squad, playing a further 35 matches. After impressing at club level, the then 18-year-old received an International call-up for the Euro 2016 Championships. Renato then went on to help his nation win the Euro 2016, producing some sublime performances on the way. He also featured in the final match of the competition, where a Cristiano Ronaldo-less Portugal battled it out against hosts France. Shortly after winning the cup, Renato was announced as the Young Player of the Tournament. The final man on our list, Kingsley Coman. Born in France, the youngster began his Youth career at the age of 6, joining US Senart-Miossy and later Paris Saint-Germain. Coman made his professional debut for Paris Saint-Germain in 2013 (becoming the youngest ever player to play for PSG), and went to make 4 appearances in his 2 seasons with the French club. He later signed for Juventus in 2014, and made a total of 22 appearances for the Italians, before being loaned out to Bayern Munich, where he has the option to make the deal permanent should Bayern be willing to pay €21 million at the end of his loan deal. Coman is regarded as one of the most promising talents on European soil. His pace, agility, vision, acceleration, and technical abilities have impressed coaches from around the world. He can play on both wings, as well as in an attacking midfield position. Coman has high expectations, and fans will be hoping that the youngster will help Bayern Munich win the Champions League this season.